One of the biggest myths surrounding the forest industry is based on the assumption that forestry-owned land are green deserts, comprising solely of thousands of hectares of non-indigenous tree species, devoid of all other life. In reality, the forestry landscape in South Africa is far more complex than this. Yes, each timber compartment is dominated by a single tree species, but when looked at on a landscape level, the forestry-owned land is far from barren. Our observations and research has found them to be representative of the local biodiversity. Around 30% of the forestry-owned land is unplanted. 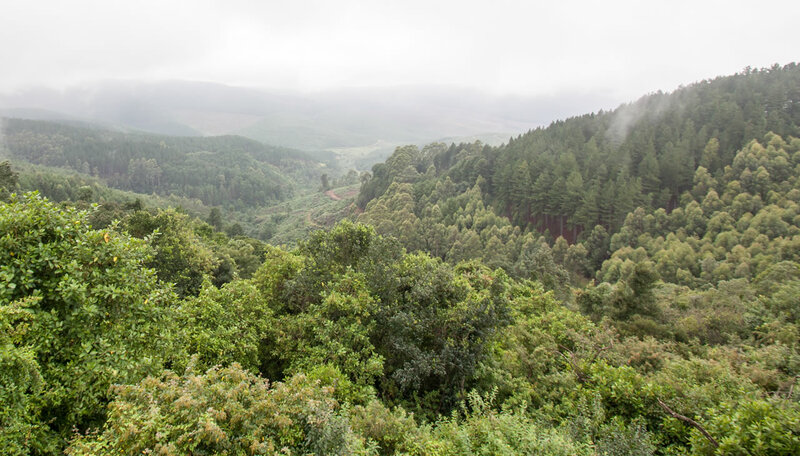 When actively and properly managed, and where necessary restored by forest owners, this network of natural areas contributes towards South Africa’s biodiversity targets. Through these efforts forestry-owned land contributes towards the conservation of the country’s natural forests, and grassland ecosystems with their associated vital wetland systems, as well as some of South Africa’s most treasured natural tourist attractions.